My name is Marc Leu, I am SAP’s Corporate Ombuds Officer for APJ and Greater China. In this role, I support clients in need of a protected and safe place where they, independent of role and title, are welcome to come and talk in confidence about any issue, problem, or dispute they face. I listen, coach, counsel, clarify and mediate, and provide mindfulness guidance. 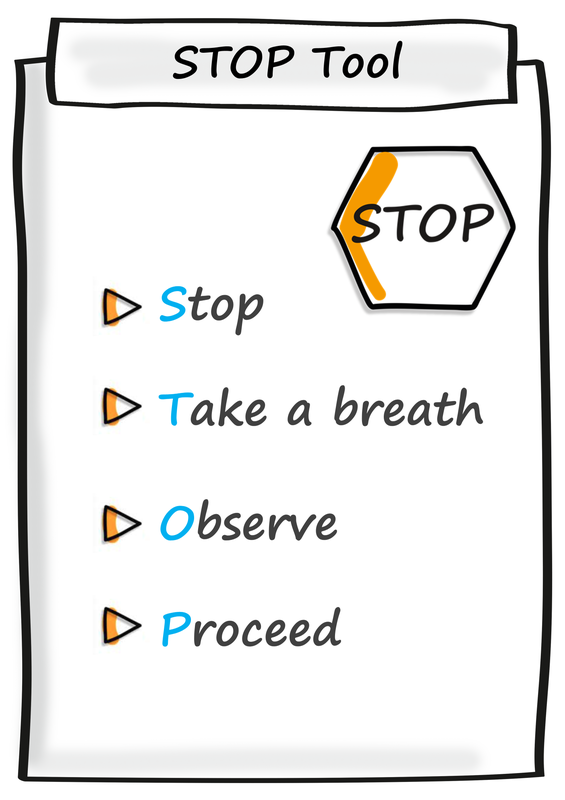 Let’s have a look at the first step STOP which stands for ‘Stop, Take a Breath, Observe, and Proceed ‘. Whenever you notice, usually in your body first, that something feels not right in a situation, that you got triggered by someone or an email, try to stop and interrupt the pattern of your usual response habits – like shouting, sending an angry email and so on – and replace it with something more constructive: move yourself from compulsion to making a choice. Stop for a second and step aside from your current thoughts, interrupt your usual response pattern; often it helps to count to 3. Take a Breath next by turning your attention to your in- and out-breath wherever it is most noticeable in your body. One or two breathing cycles over a couple of seconds usually are good enough, you don’t need more. And the good thing with the breath is: we always have it with us…if we are alive. Then Observe by paying attention to your present moment experience. What is happening in your heart, in your body, in your mind and even in your environment? It may be pleasant or unpleasant – no need to judge, only notice what’s going on in this situation where you got triggered. Finally Proceed and resume your activity with the newly acquired information from your moment of self-reflection. The whole sequence can be done in a few seconds in stealth mode, nobody would notice that you stopped. Your response might be much more elegant and constructive than following your old habits though. Why not try it next time when you get triggered 😊 and let me know how it worked for you. Check out more blog posts in this series: Coach’s Corner.